Adam Ridley, a doctoral candidate at Flinders University, working in collaboration with Dr. Margareta Popoola, lecturer in the Department of Global Political Studies, Malmö University, is the first recipient of the INU Seed Money Fund. 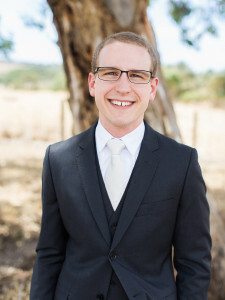 Seeking to determine the extent to which policies of multiculturalism adopted by liberal democracies lead to improved racial discrimination, social cohesion, and equal opportunity outcomes, Mr. Ridley intends to conduct a series of international case studies focused on Australia, the U.K., Sweden and the Netherlands. He will use the INU Seed Money Fund to conduct the field work for his Ph.D. thesis at Malmö, in October and November 2016. This field work will include conducting a series of interviews with policymakers and program implementers in Sweden. The INU offered the Seed Money Fund application process for the first time in 2015 with the aim of addressing the need for INU faculty and staff to start a project of significance to Network partnerships. The Fund supports creative ideas that promote internationalization and global engagement within the INU. Tomorrow marks the half-way point of my PhD fieldwork trip hosted by Malmö University through the INU Seed Money Fund. I have enjoyed the experience of research life here in a Swedish university, and have valued the culture of collaboration. One example is the opportunity to discuss my research project face-to-face with colleagues here. On many occasions, they have in turn offered their professional networks to connect me with research interview participants within the integration, multicultural and diversity policy sectors. 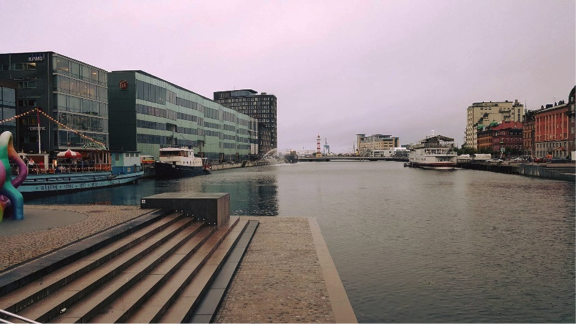 Overlooking the harbour and Orkanen, one of the Malmö University buildings, this photo was taken on the first day of Adam Ridley’s Ph.D. fellowship. Another example has been the opportunity to present a seminar about my research entitled ‘Australian multiculturalism: the light on a hill?’ as part of the ‘Migration Seminar’ series. This arose simply because I shared a cabin with a researcher here as part of the Department for Global Political Studies’ ‘kick-off’ retreat for the autumn semester. In the seminar I was able to share some reflections on Australian policy, whilst also receive feedback on my research direction. Likewise, I was invited to present at the ‘Challenges of Ethnic Diversity’ teaching conference for undergraduate students in the International Migration and Ethnic Relations program. Next week I head off to the UK and the Netherlands for a short stint of fieldwork, interviewing local policymakers and public servants. I will be asking the same questions as I have been here in Sweden, with a particular focus on how policy frameworks can best provide positive outcomes and support for migrant groups as they integrate into society. I will return to Malmö in mid-November for more research interviews, before finishing in mid-December. So far, I am very thankful for the warm welcome I have received. My colleagues here are more than happy to lend me their expertise, and are very willing to accommodate me as I continue to develop my academic skills through the PhD process. I very much look forward to the second half of my time here in Europe and the opportunities this will bring.